Persimmons are in season right now! If you go to the Asian market they are everywhere. 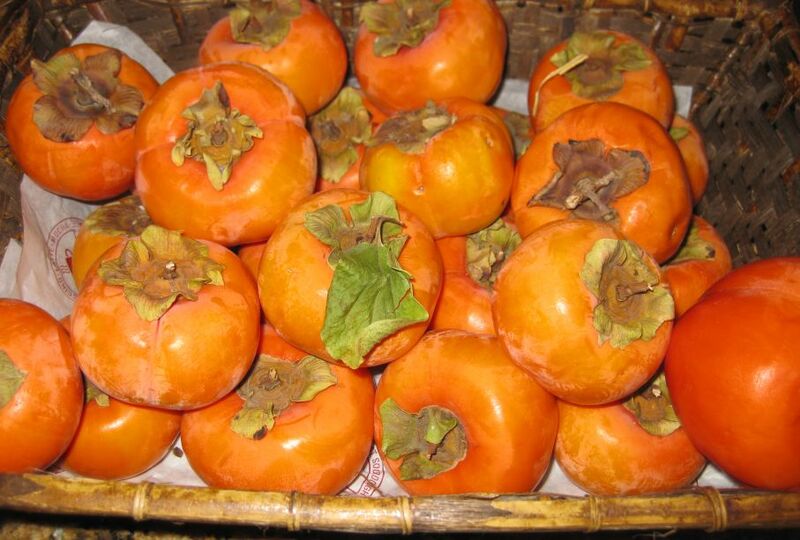 This year I was lucky to receive so many persimmons from my friends. I love them and I can eat at least 5 or 6 a day. Since I have so many I decided to make a dessert with them. 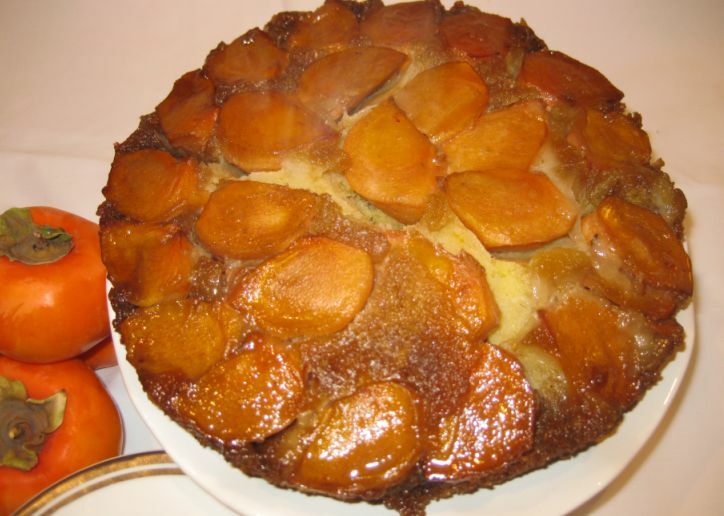 This recipe is usually made with apples but I am replacing them with Persimmons. 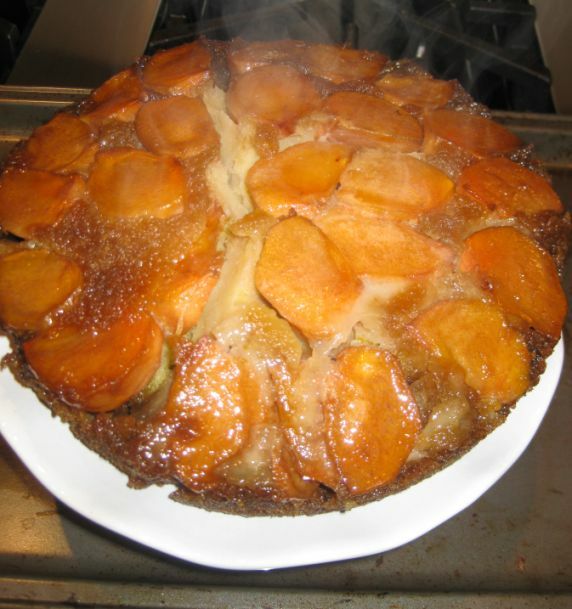 The cake is very good but I think I will stick with apples the next time. 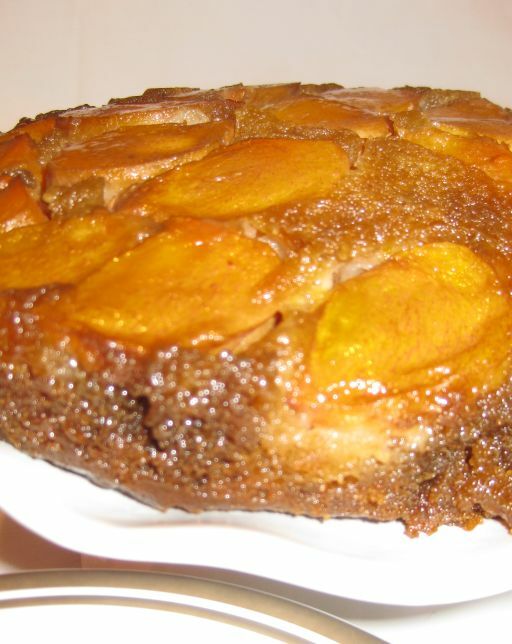 Baked persimmons does not have any taste, they are actually pretty bland. In any case I give them a try. 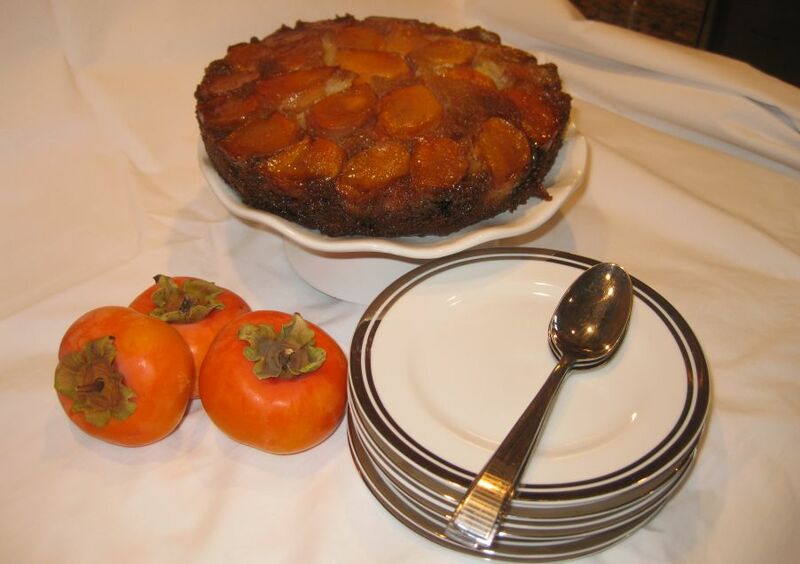 There are not a lot of recipe for Persimmons out there but perhaps there is a reason why! Close look at the cake! Persimmons are in season right now and this year I got so many from my friends. Since I have so many I thought I could you them in a dessert. 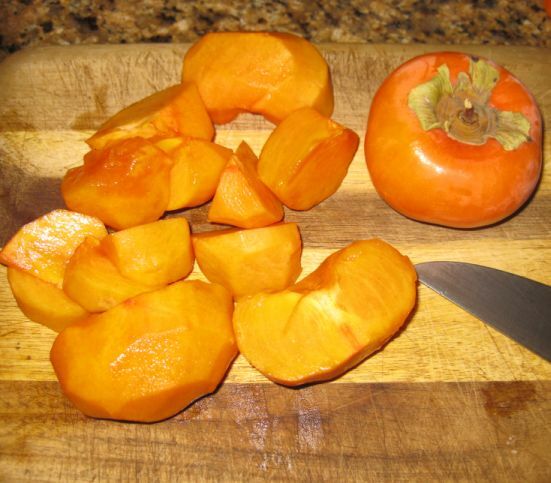 Peeling and cutting the persimmons into quarters. 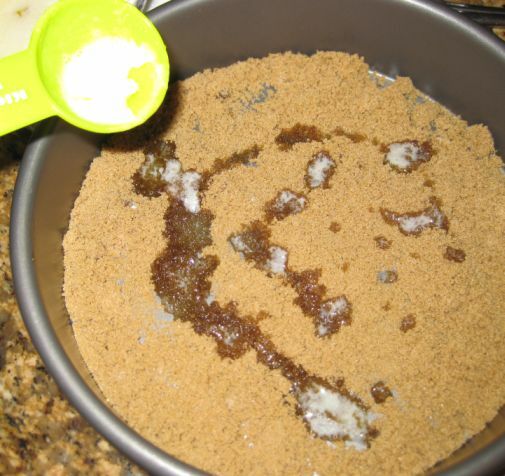 Adding the brown sugar and the melted butter in a pan. 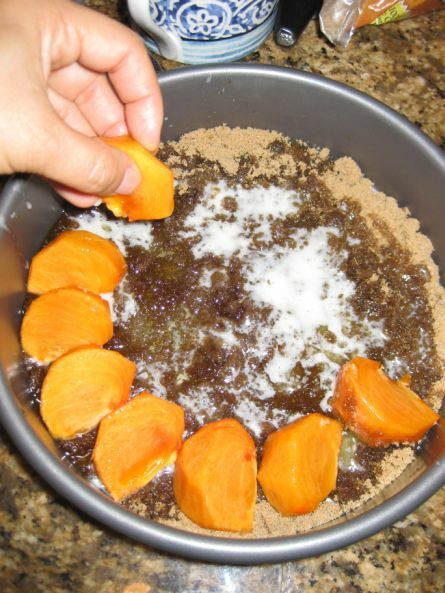 Adding the persimmons on top of the layer of brown sugar and butter. Arranging all the persimmons into a single layer. 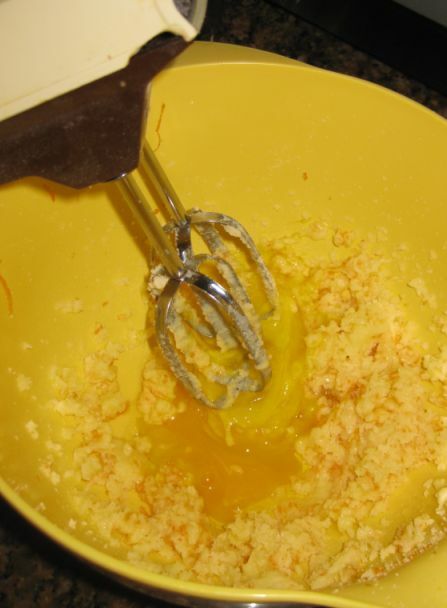 Beating the butter and sugar until well combine and then adding the eggs one at a time until well combine. 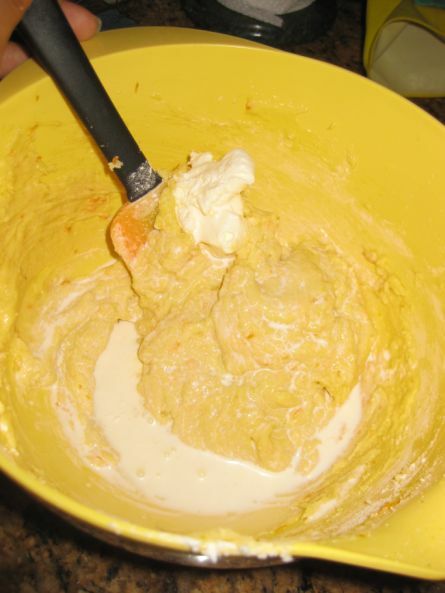 In a separate bowl mix the flour, baking soda, baking powder, and salt and pour the whole thing into the batter and mix well. 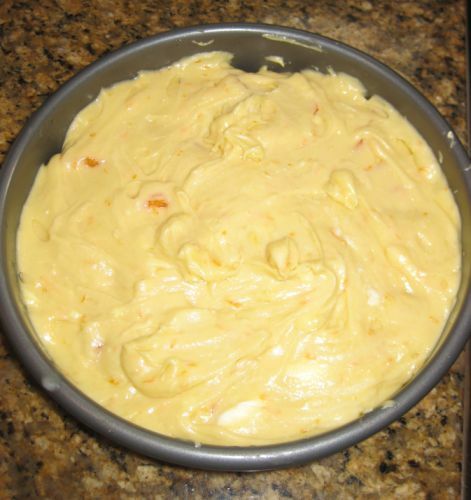 Add the orange zest once it is well mixed. 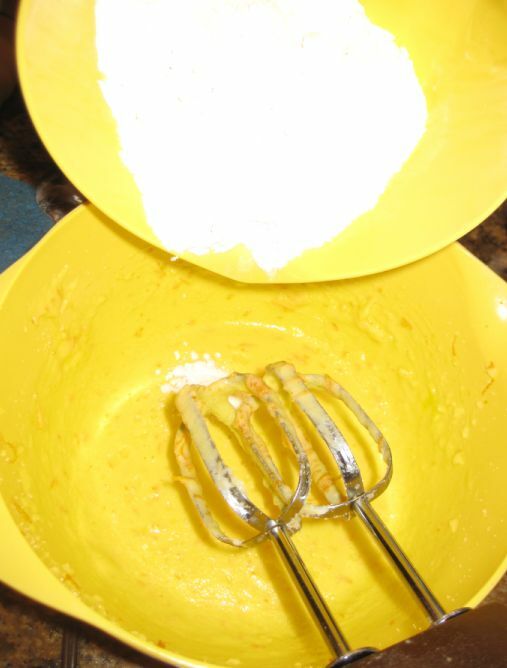 Adding heavy cream to the batter and mixing until it is well combined. 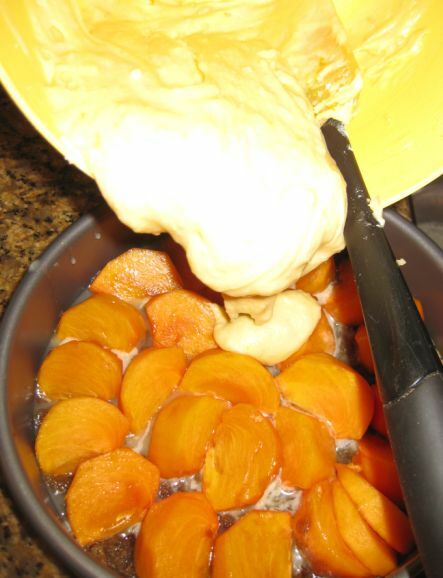 Pouring the batter over the persimmons. 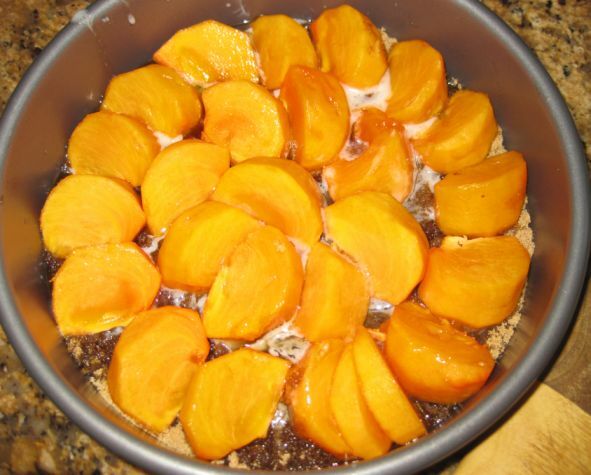 The batter is now covering all of the Persimmons and it is now ready to go in the oven for 45 minutes at 350°F. 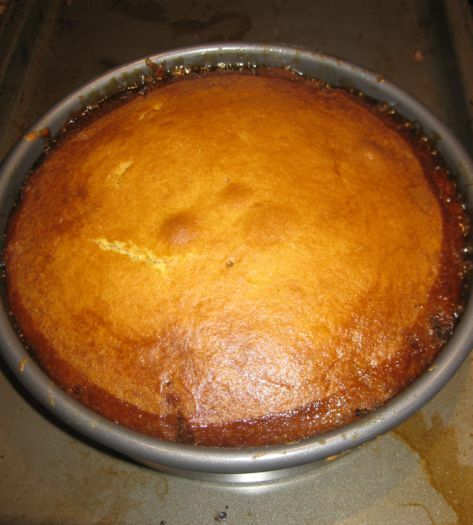 Once the cake is cooled off it is inverted into a dish so that the Persimmons are on top.